Snoring can be more than just a family joke or annoyance when trying to sleep. Discoveries have shown that sleep disorders like heavy snoring or breathing problems associated with sleep apnea can have major health implications, even death in severe cases. An “apnea” is a pause in your breathing and “sleep apnea” is therefore pauses in breathing while sleeping. This may not sound like a big deal, but those “pauses” in breathing can last from seconds to minutes and can occur up to 30 times an hour in some cases. Not so funny anymore, huh? Unfortunately many people with sleep disorders suffer for years without even knowing they have a health issue. The problem is often noticed by spouses or family that finally convince the sufferer to do something about it. HOW DO I RECOGNIZE IF I HAVE SLEEP APNEA? 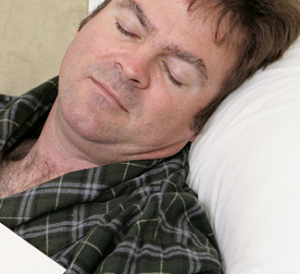 Even though your snoring may be well-known, it doesn’t automatically mean you have sleep apnea. It will be difficult for you to self-diagnose this issue, but if family or friends have mentioned any of the following symptoms, you make take that as an indicator and may want to pursue treatment for sleep apnea. HOW CAN SAN DIEGO DENTIST, DR. ORTEGA, HELP MY SLEEP DISORDERS? Modern dentistry has made it possible for dentists to provide simple and effective treatment for common sleep disorders like sleep apnea and snoring. Dr. Marcos Ortega employs special mouthpieces that gently push your bottom jaw forward, opening your airway. This not only allows more airflow (and therefore more oxygen) but reduces or eliminates snoring by preventing the relaxed and constricted airways from vibrating (snoring). If you think you might be suffering from sleep apnea, or just want to reduce snoring, schedule a visit to our San Diego dentist office today. We help patients throughout Hillcrest and Mission Hills!